I’ve decided that it’s silly to keep posting about my issues with buzzworthy Internet content. Instead, I’m going to post and review some of my older drawings that currently aren’t on the Internet anywhere. Let me be a content creator and sharer instead of a critic. This is going to be a series, because I drew a lot a cartoons and comics for my old site Behold The Cheese. This is also to encourage me to draw again and add more works to my site. 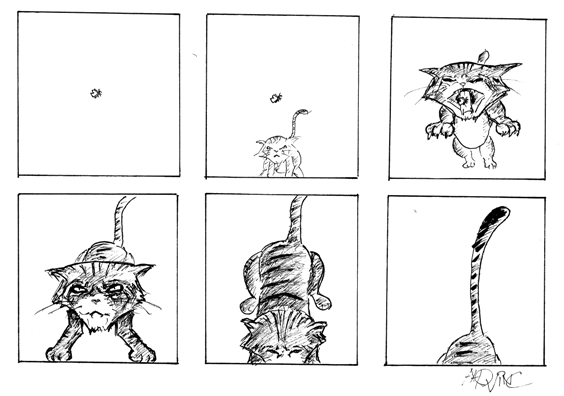 This one is a thematic comic about a cat eating a moth. It pairs well with the Jaws soundtrack by John Williams. 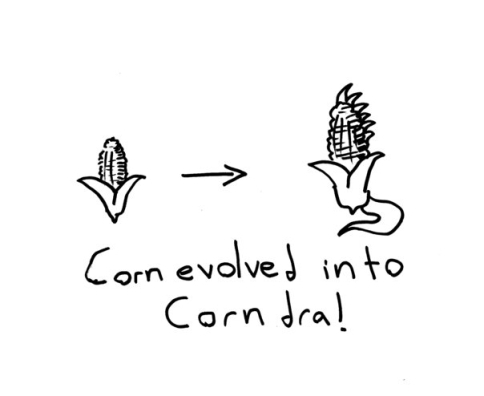 This one is a commentary on silly Pokémon evolutions. Remember, just give something a tail and spikes to make it cooler. 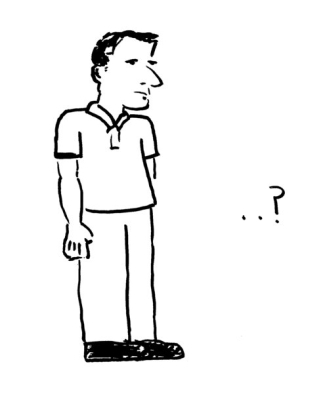 This next one is a creative exercise in figure drawing and punctuation exploration. Three periods make an ellipsis, but what do two periods and a questions mark make? Hmm..? I really liked the early days of Behold The Cheese when I chose to draw with only a Sharpie marker on office paper. It was easy, and cartoons (some quite funny!) rolled off really quickly. I’ll remember that approach to at least get started with drawing again in the future. I’m partial to this next one. Wouldn’t it be funny if you saw a peanut do this? 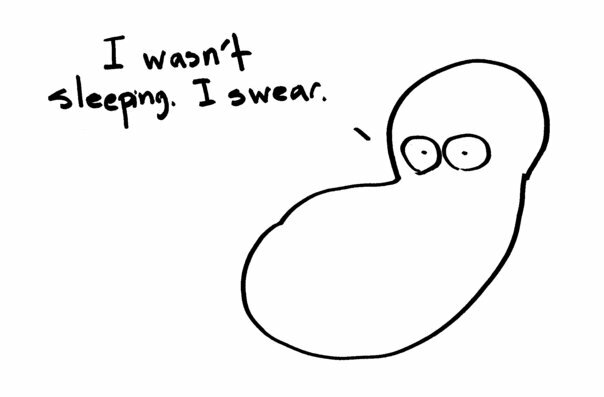 I mean, why would the peanut be sleeping, and then why would he LIE about it? This one was once the banner for the Behold The Cheese site, and it was the site’s namesake. I loved all the wrapping I put around this cartoon, including the alt text (“Smokes? More like smoked cheddar.”) and the file name (ratdoescheese.jpeg). 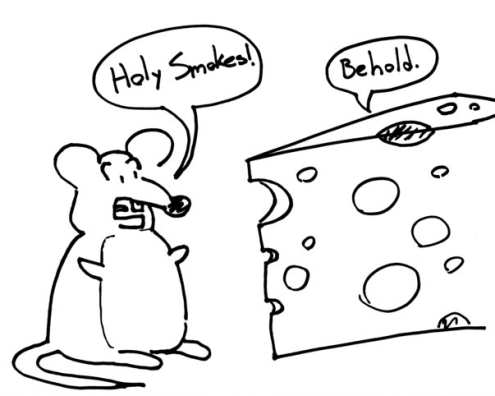 I like making things talk in cartoons, and I think rats and cheese would probably have this conversation. Five is a good number, so this is it for the first tour of my old “portfolio”. I’m happy to share these, so I’ll be doing more similar posts soon.